As Michael Smuin’s (1938–2007) eponymous company approaches its 24th season, the Bay Area ballet troupe—now known as Smuin Contemporary American Ballet—works hard to continue his legacy of dance and showmanship. Smuin’s current Artistic Director, Celia Fushille, transitioned from dancer to Associate Director under Michael Smuin’s guidance, and continues to move the Company forward with all of the energy and panache of its founder. 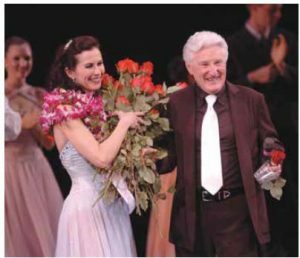 Even a decade after the Tony award-winning choreographer’s passing, memorable stories of Michael Smuin continue to circulate among Smuin patrons. 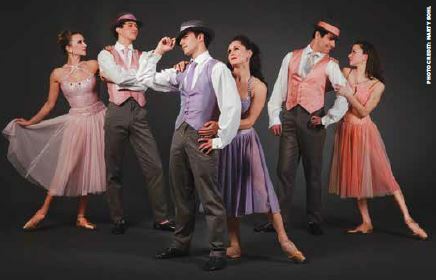 As Fly Me to the Moon, Smuin’s beloved tribute-ballet to Frank Sinatra, returns this season, many in the Smuin family are reminiscing about the ballet’s premiere 13 years ago. Below, Artistic Director Fushille shares a conversation she had with Michael Smuin during the creation of his new work in the fall of 2004. Set to nine Sinatra classics, this ballet is brimming with Broadway flair—blending ballet, tap, and social dance styles to make a sparkling, charismatic number. Celia Fushille: You’ve worked with popular music before. Why Sinatra and why now? Michael Smuin: When Sinatra sings, you naturally want to dance. I was reminded of this recently as I began working on my memoirs and going through my records. So many memories have come flooding back. When my mom and dad would have the radio on while they were fixing dinner and a Sinatra song came on, my dad would pick my mom up and they would dance in the kitchen. It was so romantic! They were excellent ballroom dancers and I loved to watch them dance. When they danced together they were the essence of joy. I feel at this point in my life that this is the right music with the right dancers at the right time. Who doesn’t like Sinatra? Celia Fushille: You’re drawn to Sinatra, but do you have concerns about attracting a younger audience with Sinatra? 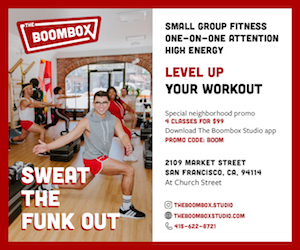 Will your younger audience know this music? Michael Smuin: Good question! The truth is, many young people know and love Sinatra because it’s almost like folk art. It has been passed down from generation to generation. Our younger audience might already be familiar with these ballads, which have been recorded by many other artists singing today. CF: Did you ever have the opportunity to see Sinatra perform live? Michael Smuin: Yes, I saw him perform live at the Eden Rock Hotel in Miami in 1963. It came as a revelation to me at that time, that even when he was singing it was like he was talking directly to you. And I felt that every member of the audience had the same feeling, especially the women. Remember that first there was Sinatra, then there was Elvis, and then there were the Beatles. But Sinatra was the first. Celia Fushille: I know you worked on several projects with Gene Kelly over the years and became close friends. Did he ever mention Frank Sinatra? Michael Smuin: Yes, he certainly did. I remember one night we were having dinner together after a performance of San Francisco Ballet’s 50th Anniversary Gala, which he hosted with Janet Reed. At one point, I asked him about On the Town and his relationship with Sinatra. “Well,” he said, “I taught Frank Sinatra how to dance. He was the best pupil I ever had. He learned lightning fast and didn’t have to work particularly hard at it. He was just a natural with perfect phrasing and timing.” Gene also remembered Frank was always very gracious in acknowledging the fact that not only was Gene his choreographer, but also his teacher as well. This reminds me of a conversation that Bob Fosse and I were having one day. He said that Frank Sinatra had called him and asked him to put a show together for him. Bob said he was very thrilled and surprised, but had to decline because Sinatra was known to not like rehearsing. Of course, Bob was known as the rehearsal monster. He would rehearse over and over and over again. Celia Fushille: Getting back to your ballet, from all the wonderful songs that Sinatra made famous, how did you choose the songs that you’re using? Michael Smuin: That was one of the hardest parts. I had scores of albums and spent literally a year and a half picking out my favorites. But one has to think of a balance. They can’t all be ballads and they can’t all be ‘up’ tunes. Over that period of time, whittling it down was part of the process. I also kept in mind the dancers and what songs I felt were particularly suited to each of them. In other words, each song took on a particular face and body or bodies. Celia Fushille: Can you tell me something about the dedication of your ballet? Michael Smuin: I’ve dedicated this ballet to the memory of my dear and close friend, Nancy Stephens. It better be damn good or she’ll come back to haunt me! As it was, when I read her the last list of songs for the ballet, she insisted that I drop one of the songs that she didn’t like and add “The Way You Look Tonight.” Obediently, I made the change. Luckily, I liked that song myself.